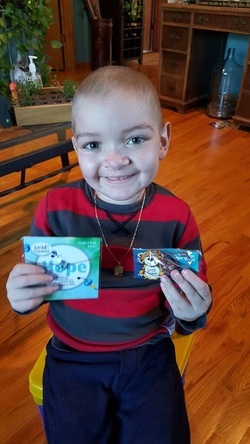 On August 31, 2012, at the age of 2, Lucas “BEAR” Cervone was diagnosed with Philadelphia Positive A.L.L. A form of pediatric leukemia. “Bear” underwent intensive chemotherapy treatment resulting in numerous roadblocks, complications and extended stays in the hospital. His parent’s original plan was to take turns with the hospital care. That quickly proved to be impossible due to the unpredictability of Lucas’ health. Both parents lost a lot of a time at work as Lucas’ care became the top priority. 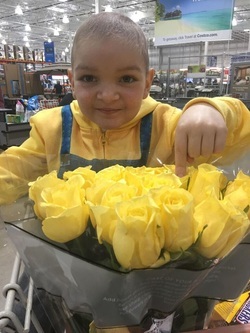 After almost 3 years of treatment, Lucas was finished with treatment. Bear and his family celebrated by going to San Diego, Ca and seeing some great attractions including Lego Land Resort (thanks to Make A Wish Illinois). This was to be the beginning of a new life. Moving away from cancer, hospitals, medicines and pain. 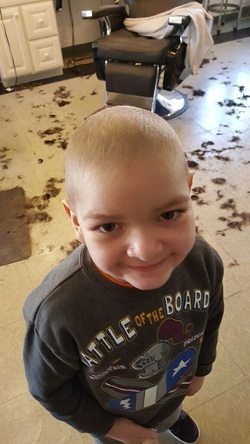 On July 20, 2015, one month after finishing treatment, Lucas was re-diagnosed. This time it was T-Cell ALL. Needless to say, the family was devastated. It was decided to begin chemotherapy again as well as consider a stem cell transplant. On November 11, 2015, Lucas received a stem cell transplant from an unknown donor located in Germany. The donor’s cells were extracted and flown to Chicago for the lifesaving procedure. Due to complications from a lack of an immune system, pneumonia and 3 other viruses attacked Bear’s lungs turning this into a life threatening concern. On Nov 18 Lucas was transferred to the PICU for 53 days and on a ventilator for 38 days. On January 1, 2016, Bear was extubated (the ventilator was removed) and he began to breath on his own. His lungs were healing to the honest amazement of the doctors. Bear was still dealing with GVHD (graft vs host disease), but it was manageable. One month later, Lucas was able to finally go home. To date the transplant has remained stable and Bear continues to take medications and receive physical therapy to help him get better. The physical and psychological toll that the last 3 ½ years have taken on Lucas and the family are immeasurable. Although the family has insurance, the loss of income and time away from work cannot be replaced. They hope to try and pick up the pieces and continue moving forward.